The UK National Archives have posted online an array of fascinating documents and pictures illuminating the history of the 1920s, a decade that saw enormous changes in British society. The new resouce makes available 67 letters, cartoons, photographs, official documents and handwritten notes covering the General Strike, hunger marches and unemployment, the changing role of women, advances in transport and education policy, the rise and fall of political parties, housing policy and new leisure opportunities for the working class. The material is supported by accompanying online essays from the University of Huddersfield's Keith Laybourn, a leading expert on the politics and society of the inter-war period. The documents and essays are presented in a two-part website under the heading Decade of conflict, realignment and change. 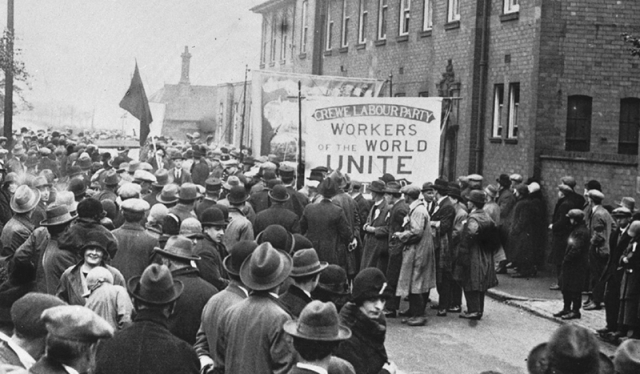 As well as being of interest to historians and the general public, the new resource will provide primary source material for teaching and learning about the 1920s, which is now an option in the A-level history syllabus.